I may not be a beauty guru but I have used my fair share of different makeup products. Over the years I've got sucked into the trap that is Youtube makeup tutorials and spent hours learning how to create that perfect contour. My budget can be pretty tight so I needed to find some good quality makeup products. You can definitely find great, long lasting products, without having to pay the high price tag. I didn't want to title this post "Best Drugstore Make Products" because some of these are only available online. 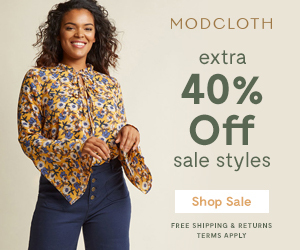 You should remember to scope out online stores as well when it comes to finding budget-friendly products (both beauty and otherwise). I remember hearing about Coastal Scents back in the day (2006) when I first started watching Makeup tutorials on Youtube. Coastal Scents has a variety of products but my favorite are the eyeshadow palettes. You can get 88 gorgeous colors for as low as $10.95. I use my Mirage palette ($16.95) daily. It has a nice collection of neutrals, which I’m totally obsessing over right now. These shadows are crazy pigmented. I’ve found that some shades in the palette can be a bit chalky (but still has good color payoff), but I don’t find this to be the case with the individual eyeshadow pots ($1.95 each!!!). I recently customized a palette and am in LOVE with all the shades that I chose. A dramatic lash can make all the difference for a makeup look. I’m lucky enough to have fairly long eyelashes, so if a mascara has a bad formula, I’ll know right away. I’ve been a sucker for marketing schemes in the past and was always attracted to the new dramatic names and fancy packaging of drugstore mascara’s (look, something SHINY!!) but recently I decided to go for the tried and true mascara formulas. I mean, they’ve been around for so long - they must work! I’ve seen this mascara around for a LONG TIME so I gave it a shot. O. M. G. This mascara is my fave budget friendly mascara. 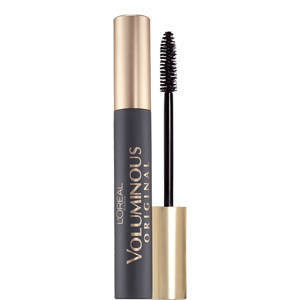 It gives my lashes that extra length and volume and no matter how many coats I put on, it doesn’t clump. This has been my foundation of choice for a long time now. I can get the perfect amount of coverage without it looking cakey by the end of the day. Keep in mind, I typically only need light to medium coverage, so if you are a full coverage type of girl, you might not have the same experience as me. 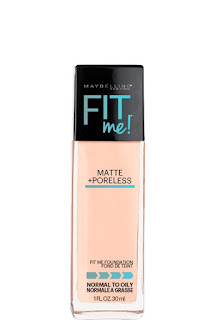 Maybelline, in general, has a lot of win products for me. So, I would recommend this brand overall. I’ve heard SO MANY good things about this foundation and they were all pretty accurate. 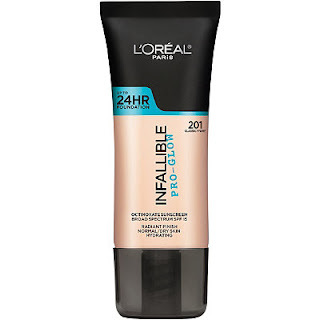 On those days where I want full coverage this is the budget friendly foundation I go for. You’ll get long-lasting, even coverage with this foundation and it won’t give you that cakey feeling at the end of the day. I find it’s best to apply this foundation with a sponge. 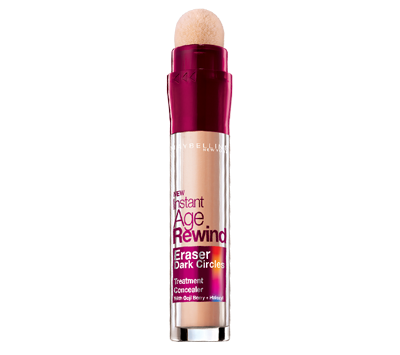 I suffer from pretty horrible under eye circles and this concealer does an amazing job of covering them up. The applicator makes it really easy to apply, then I set it with my finishing powder and look like I got a full night's sleep! I’d recommend using a setting powder with this (and any other concealer) if you use a more than average amount of concealer (like me!!) because it has the potential to crease. I’ve experienced both creasing and perfection without setting powder, so it really just depends. 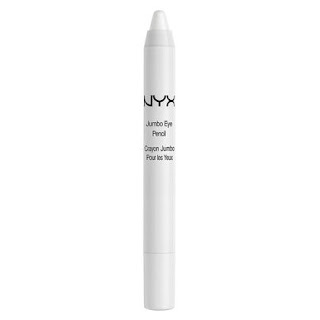 I’m actually pleasantly surprised how effective NYX products are, considering the low price tag. 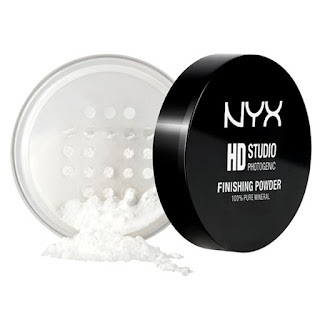 Finishing Powder is a holy grail makeup product that I’ve lived without for way too long. Never again. Setting Powder could mean the difference between your makeup smudging, creasing, or caking, and you looking like a damn rock star. 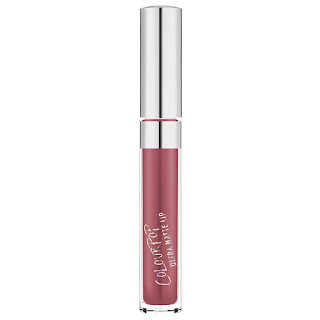 You couldn’t have been on the internet in the last 6 months without hearing about ColorPop’s liquid lipsticks. They come in SO MANY amazing and radiant colors that having incredible staying power. I used Urban Decay’s Primer Potion for a really long time but decided to try a more budget friendly primer to see what the results would be. Elf did not let me down. Elf just recently became available at the Walmart and Old Navy (weird?) where I live so naturally, I needed to try out more of their products. 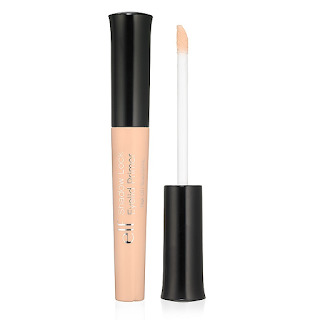 This eyelid primer made sure my eyeshadow had a seamless look all day long. The only downside for me was the size of product - I wish there was more! This was another product I heard of when I first started watching Youtube makeup tutorials. All the beauty gurus were using this product as an eyeshadow primer! This Jumbo Pencil does an incredible job of holding up my eyeshadow throughout the day and my eyeshadow color gets intensified as well. It’s also super cheap and the pencil lasts a long time. Am I the only one that wears eye pencils anymore? These Kohl Pencils have been my fave key pencils since I was in high school (that’s a long time, folks). They have really great staying power and don’t smudge horribly throughout the day. Lately, I’ve been adoring the look of a smudged out wing with this eye pencil. 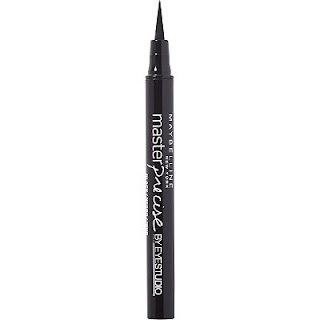 When it comes to making that perfect winged eye, there really is no better product to use than a liquid eyeliner. Revlon was the first liquid eyeliner I ever used and I just keep coming back to it. The applicator is super easy to use for me and helps me make the perfect wing for my hooded eyes. This product was recommended to me so many times. A few months ago, when I ran out of my trusted ColorStay liner I decided to try something new again (hey, variety is the spice of life). 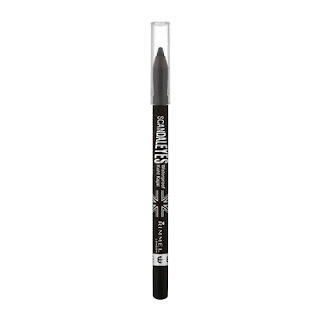 If you want to get a really dramatic and sharp wing I would suggest this liquid liner, for sure! It’s so dramatically black and the point is fairly thin so you can get just the intensity you’re looking for. The only reason this isn’t my go-to liner is because of my hooded eyes - the wings I love creating with this liner just don’t work on my eye shape. 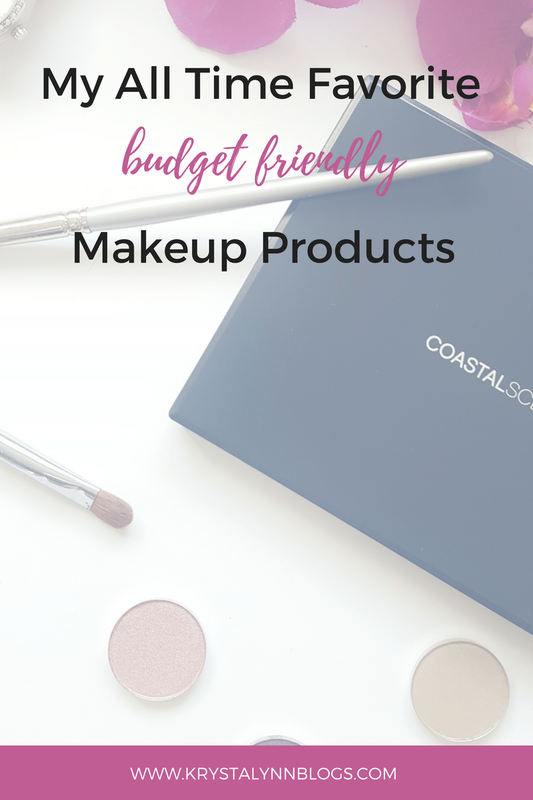 What's your favorite budget friendly makeup product?